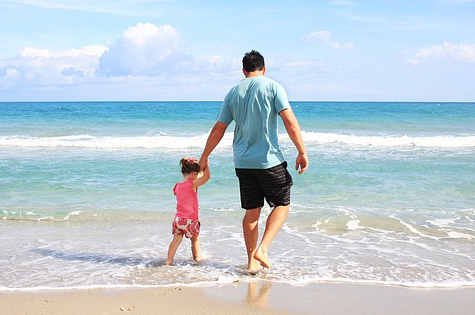 Home > What do fathers across Australia have in common? This Father’s Day, Officeworks and Kodak have partnered to discover Australia’s favourite memories of their father, and how dads across the country have influenced their kids over the years. According to the new research by Kodak and Officeworks, more than half of Australians (62%) relied on their fathers to learn how to drive when they were younger; while close to half of the country (49%) asked their father about sports or for help with their homework (48%). When it comes to Australians’ fondest memories of their father, 14% of Australians said watching or playing sports with their dad is their fondest memory, followed by fishing (9%) and family trips (8%). Unfortunately, the research found that older Australians are less likely to say thank you or buy gifts of gratitude for their fathers than younger Australians. It was also found that Australians living in metro areas are more likely to show gratitude by giving a gift or saying thank you than Australians living in regional areas. “Following these findings, we set out to provide an easy way for people to say thanks to dads across the country for the hours they put in to teaching their kids how to drive, or helping them with their homework – the Kodak Printing Kiosk at Officeworks allows Australians to create a truly personalised, unique gift for dad this Father’s Day,” he continued. It was found that males were more likely to ask their dad about the birds and the bees than females, but only 9% of Australians looked to their dad for this information. Almost half (46%) of all Australians claimed to have inherited their father’s independence and 49% of older generation Australians reported they inherited self-discipline from their fathers, compared to 23% of young Australians. Interestingly, a quarter (27%) of Victorians inherit their favourite football team from their dads, compared to 20% in WA, 18% in SA, 15% in QLD and only 9% in NSW/ACT. To browse the Kodak range and purchase online visit the Officeworks website. Officeworks is Australia's leading retailer and supplier of office supplies, tech and furniture solutions for home, business and education needs. They offer customers more than 20,000 products on its website, operates a national customer service centre and has a growing team of expert business specialists to cater for micro, small and medium business customers. It's Father's Day! Here's a snapshot of Australian dads today.